What happens when I remember Google Translator exists. My name translates perfectly into almost everything. It’s great. Face it, I pretty much have the best name ever. Seriously, though, I might start going by Montaña Barbero instead of Mountain Barber. Or maybe Ntaba Umgundi. You may have noticed that I haven’t posted anything in a while- blame it on personal drama, getting a new (better) roommate, a new 40 hour job with an hour commute each way (I walk there, comes to about six miles a day). Or maybe blame it on my new workout regime, or on all the writing I’ve been doing (that would be a lie, though. I’ve done so little writing). Hell, you could even blame it on being able to afford going out again. You’d be wrong with all of those guesses, though. The real reason? 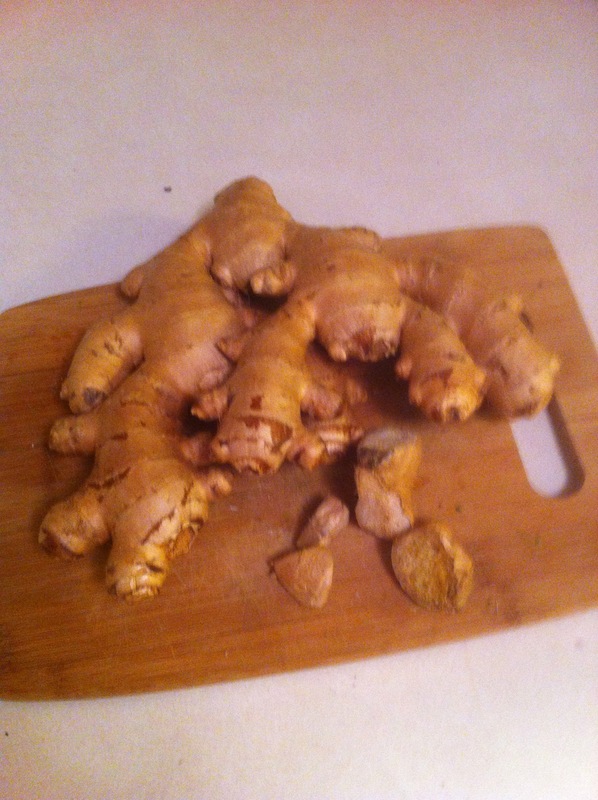 Fresh ginger root. Look at that glorious, majestic beast. Look at it! Everything I cook has ginger in it now. EVERYTHING. COWER BEFORE THIS TANGY ROOT VEGETABLE. COWER. I OWN THIS. WHY? DO NOT QUESTION THE WHIMS OF THE GINGER-WIELDER. FEAR INSTEAD. I really like ginger, it’s quite tasty. Posted in Food, Yay Me? and tagged employment, ginger, hiatus, hubris, nom nom nom on October 4, 2014 by mountainwashere.